GEORGIA. Pankisi Gorge, a Chechen refugee settlement. School. 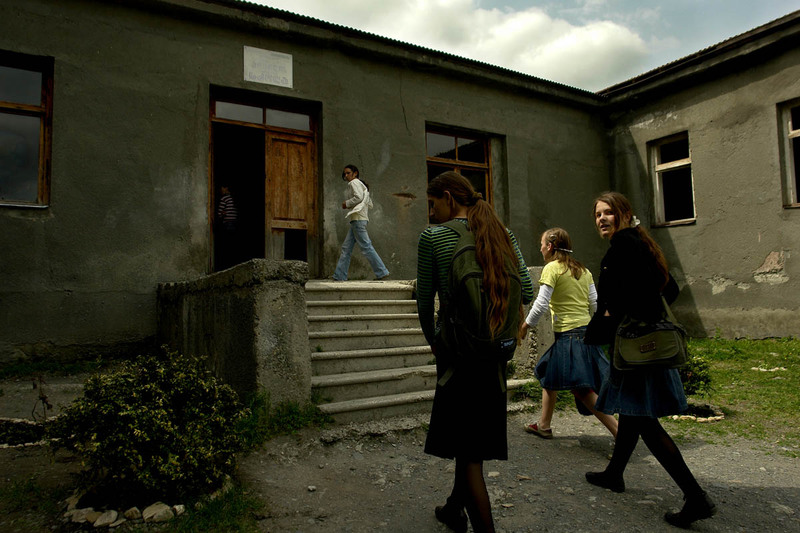 Young Chechen girls heading to school. The school has no more then 50 students.